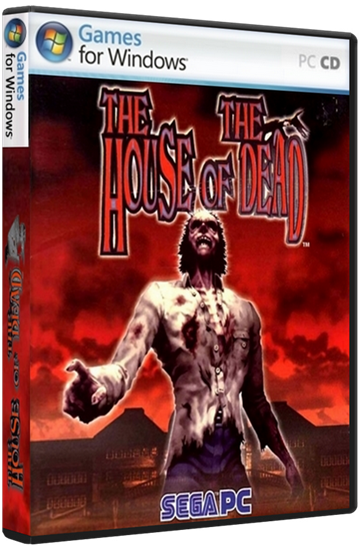 The House of the Dead is a shooter game in 1st person released for arcade and later ported to Sega Saturn and PC. The player must basically kill the zombies with a manual reload gun with six bullets. The story begins with two agents of AMS (secret police civil defense), Thomas Rogan and "G". They were informed about something related to an invasion, but not any invasion. While being at home, Rogan receives a message from his girlfriend, Sophie Richards. There were many interferences and only heard: "Help me, Rogan Please come quickly something terrible has happened ... I'm in HAAAAAAAA !!!! ......!." And also only heard some strange voices as if someone angry shouting and roaring in a voice all screechy. Rogan soon receives word that "something terrible happened" a house of hospitality a few kilometers away. SOPHIE WAS WHERE IT WORKS, AND WHERE CAME NOW !!!! Rogan called "G" and then go home. When they arrive only see dead people. Then have a bowel things: ZOMBIES! Then the game begins. To avoid bugs in the graphics on new systems such as Windows XP / Vista / 7 runs on Windows 95 compatibility mode in 256 colors in size 640x480.